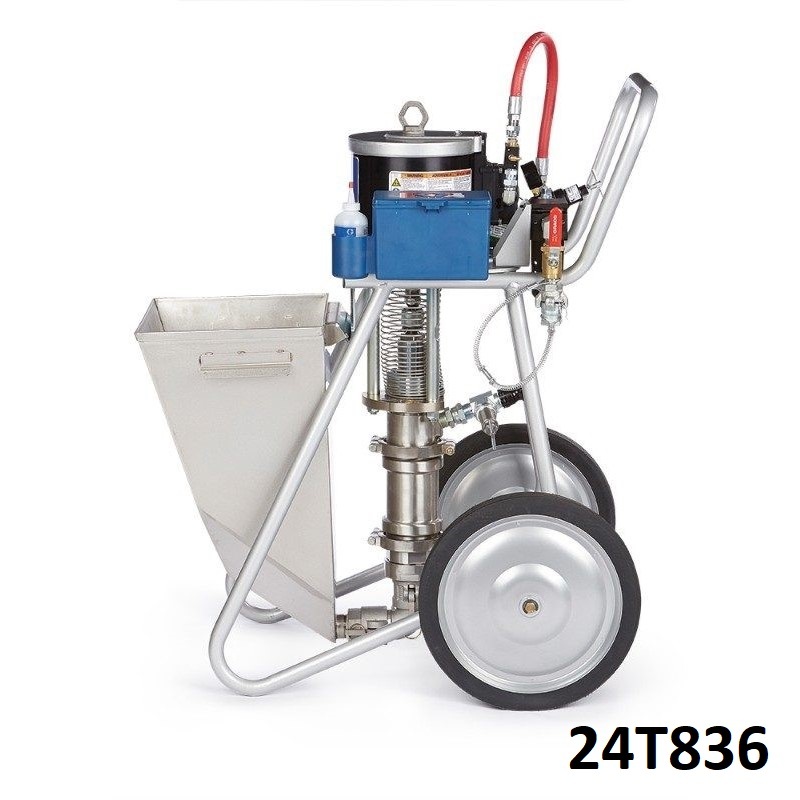 The ToughTek M680a Mortar Pump handles abrasive materials such as epoxy mortars, non-skid coatings or cementitious materials, and tackles difficult polymers with fillers such as glass flake, silica or sand. Hand troweling cementitious materials is time-consuming. 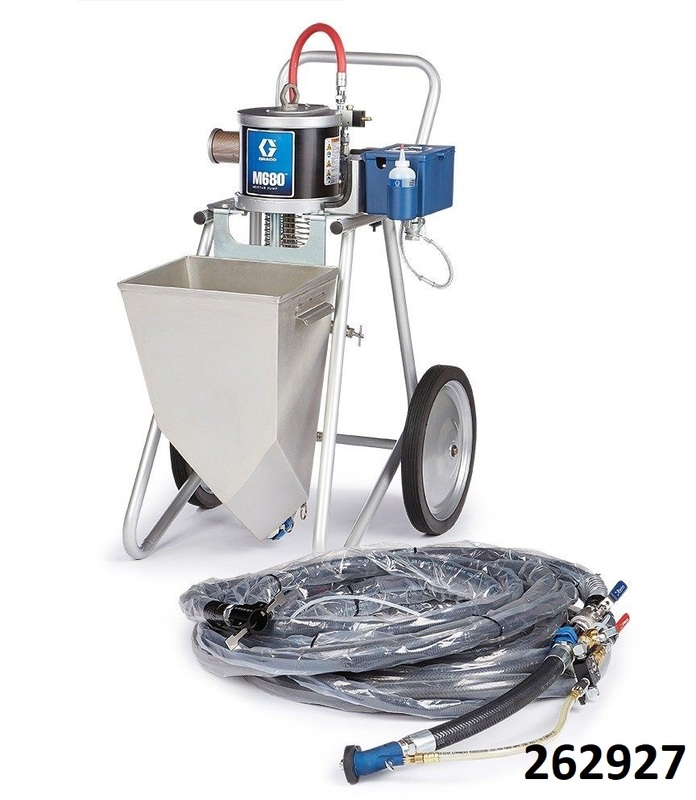 With the ToughTek M680a Mortar Pump, you can save time, speed up the process and increase your profits by spraying and finish-troweling the material instead of using the traditional hawk and trowel method. Less material waste and improved quality with the ToughTek M680a, your crew can get more thickness control by spraying instead of hand applying. The surface gets a more consistent layer of material and in addition, there’s much less chance of material curing before it gets applied. The sprayer’s high velocity flush is often all that is needed to clean the pump and prevent build-up of heavy material in the spray lines. If needed, the pump is designed to be quickly taken apart for hand cleaning. Engineered to withstand the grittiest materials, the ToughTek M680a can handle heavy materials at low pressures (typically 200 to 500 psi/13.7 to 34.5 bar). It uses an applicator to atomize and move material to the substrate. Its low-pressure design reduces wear and tear on the pump lower. Your crew will discover that the ToughTek M680a Mortar Pump is easy to use, with similar functionality to an air-operated sprayer. They’ll be up and running in no time.